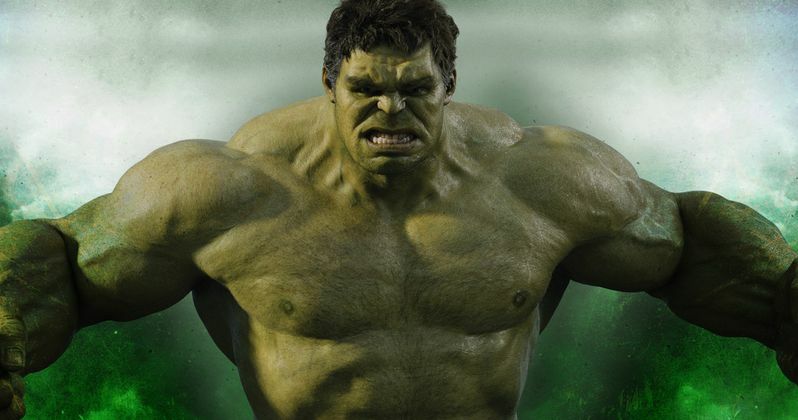 Is Marvel Planning a Hulk Standalone Movie for Phase Three? Having portrayed the original Incredible Hulk on TV in the 70s, you might consider actor and bodybuilder Lou Ferrigno somewhat of an expert on the Green Goliath. He's never been too far removed from the character he is most identified with, having voiced Hulk's guttural rage in all of the big screen movies, which includes the upcoming Avengers: Age of Ultron. But we're not sure if he's just repeating Internet rumors or if he actually has inside information when he claims that a new standalone Hulk movie is being planned for Marvel Phase Three, after Avengers: Age of Ultron makes its debut in the summer of 2015. Lou Ferrigno has made these claims before, as recent as December of last year. Now, in an interview with a local Minnesota radio station, he claims that a third Hulk movie starring Mark Ruffalo is immanent. "Now because he saved the day they're making another solo Hulk movie after the second Avengers comes out." Right now, there are only two confirmed Marvel Phase Three movies. Ant-Man, arriving June 17, 2015, shortly after Avengers: Age of Ultron debuts in theaters. And then Captain America 3, which is still set to go head-to-head with Batman Vs. Superman on May 6, 2016. While The Avengers 3 doesn't have a confirmed release date, its assumed that it will bring Phase Three to an end. Many have speculated that the other two unannounced movies are Thor 3, which is being written as we speak, and Doctor Strange. Could Hulk be squeezing his way in there? Or will he bump Doctor Strange to a later date? Way back in /planet-hulk-to-launch-marvel-phase-iii-movie-to-be-teased-at-end-of-the-avengers-2/February of 2013, Marvel Studios' head honcho Kevin Feige revealed that there will not be a stand-alone Hulk movie until after The Avengers 2. Is it possible that Lou Ferrigno is simply referencing this old interview? Planet Hulk has long been teased by the producer, but we haven't ever heard confirmation that it is moving forward. Back at that same time, it was being reported that Marvel has plans to send Hulk into space at the end of The Avengers 2. Why? Because he has become too hard to manage, and is being banished from Earth. This will set up Planet Hulk, which finds him landing on an alien planet called Sakaar, where he is enslaved and forced to participate in gladiatorial events. He becomes a hero of the rebellion against the Red King and eventually becoming ruler of that planet. He later returns to Earth for his revenge. The events seen in the Planet Hulk live-action adaptation will then set up The Avengers 3, which will utilize the World War Hulk storyline, and sees all of Earth's heroes battling Hulk and his space army. Could this be why Marvel has been teasing the Hulk Buster armor as of late? We're not sure. Shortly after that information came out, director Joss Whedon called it rubbish. "Well I'm really not supposed to comment, but no, that's nonsense." What do you think? Will we see Planet Hulk as part of the Marvel Phase Three line-up? Or are we a long way off from seeing the angry green monster in his own solo adventure?